I own a law firm in Melbourne CBD. 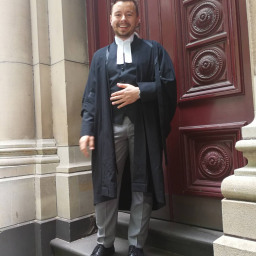 I also own another few business, as well as providing coaching in business and personal development, I hold a Masters of Law and I am a keen advocate, who regularly appears in all the Courts. The other business I operate is within the marking/promotional sphere and allows me to provide quality marking/promotional services to clients, which include website development, Seo, Promotional Staff hires and of course business consultation. Rime R. said “100% RECOMMENDED.